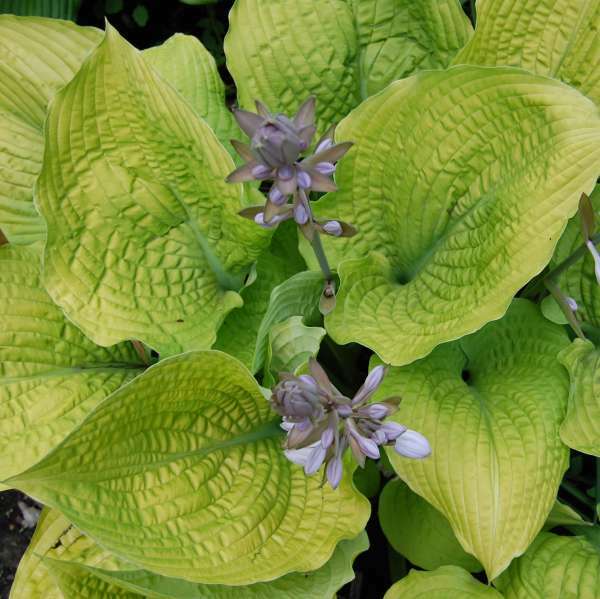 Hosta 'Coast to Coast' PP26469 CPBRAF | Walters Gardens, Inc. 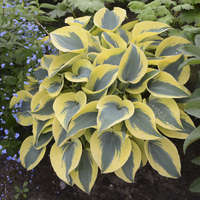 Adding a new color to the Proven Winners hosta line, ‘Coast to Coast’ is a giant, solid gold hosta that makes a striking specimen in the shade garden. 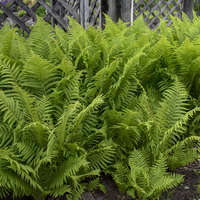 Its foliage emerges gold in spring and turns lighter gold with a bit more sun exposure in the summer months. As the leaves mature, they become thick and puckered with wavy edges and have nearly white undersides. The upright vase-shaped clump is topped with green scapes carrying pale violet flowers in midsummer. 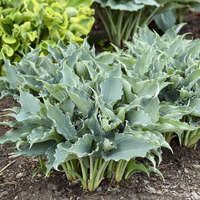 This hosta tends to be more slug resistant because of its thick substance foliage and rigidly upright habit. 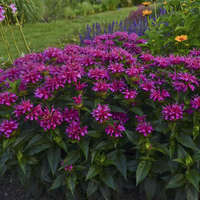 It can be grown as a single specimen in a large container or in a prominent place in the landscape. 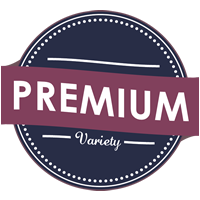 The SHADOWLAND® Trademark is owned by Walters Gardens, Inc.
Best to bulk all summer for a full container the following spring. Best to bulk all summer for sales the following spring. 50° F, keep above freezing. 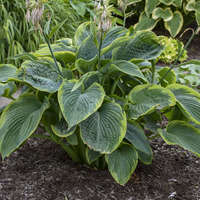 Hostas will benefit from a light application of liquid fertilizer (20-10-20 with 50ppm nitrogen) in early spring. Since it is critical to keep all granular fertilizers far from plant crowns to avoid injury, liquid feed is safest. Alternatively, a top-dressing of slow release fertilizer may be used. Roots may rot if too much fertilizer is applied. In the fall, only a light application (if any) is necessary. 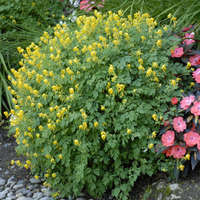 Apply very little nitrogen in the fall to allow plants to go dormant. Required for 10-12 weeks at temperatures below 40° F.
Aphids are particularly fond of the new growth. If they feed excessively, the leaves may appear disfigured when they unfurl. Applications of Rycar, Endeavor and BotaniGard are effective at preventing aphids. Applications of Avid, Floramite, Sultan and predatory mites are effective on some varieties of hostas which are susceptible to spider mites. Mainspring, Conserve, Orius and predatory mites are effective against thrips. Slugs tend to seek out hostas. Good greenhouse sanitation before potting is the best way to prevent a slug outbreak. 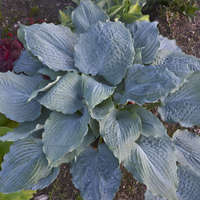 Mice and voles also enjoy a tasty meal of hosta roots and crowns. Prevent rodent problems by using bait or traps. Potting soil should be a well-drained, bark-based, soilless mix. Use a pot that corresponds with the size of the roots. Giving roots the space they need will allow plants to reach their optimum size and quality. When transplanting, it is best to spread or fan out the roots since this tends to encourage new growth. 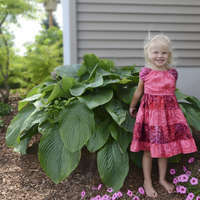 When transplanting in spring, keep hostas at 50° F for the first two weeks to promote root growth. Minimum temperatures may then be lowered to 40° F.
The best root development occurs when plants are allowed to dry out slightly between waterings. It is best to water early in the morning. As with all plants, it is important not to over-feed or over-water. Keep soil moist early in the growing season, but do not overwater. Later in the season, allow soil to dry out between waterings. 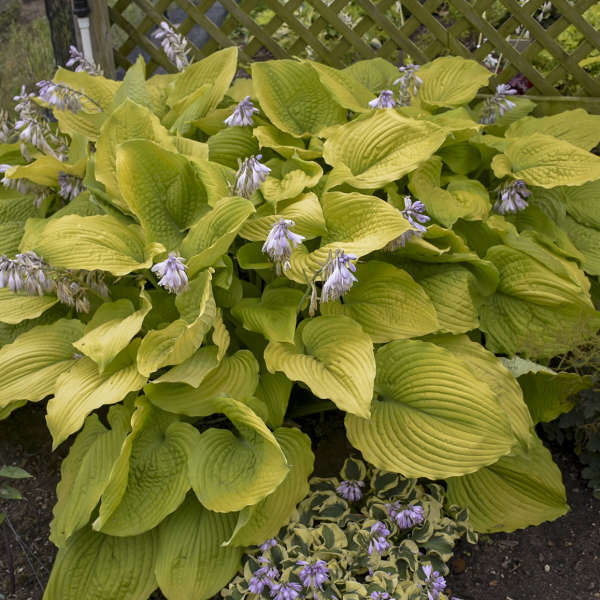 Dormant hosta require very little water. 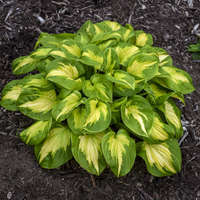 Severe or prolonged dry conditions, on the other hand, may force hostas into dormancy and can reduce plant size the following year. Growing points or 'eyes' should be at or just below the soil surface. 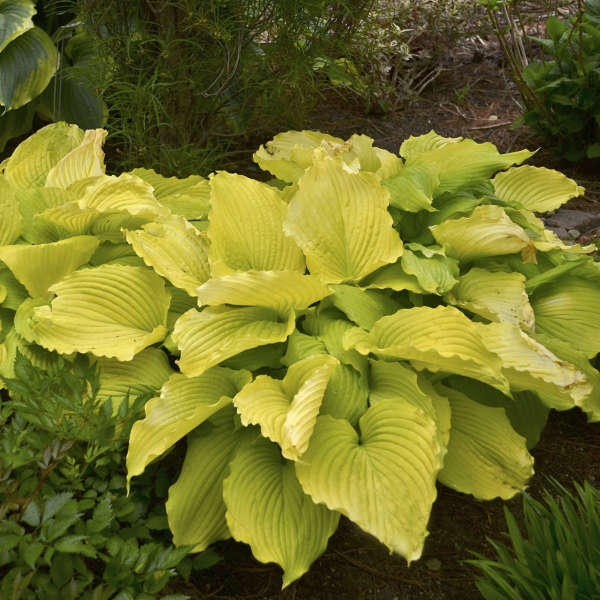 Providing adequate space is the best method to achieve nicely shaped hostas without stretching. If adequate space is not available and/or pgr is needed, Daminozide (B-Nine) 2500 ppm or Uniconazole (Sumagic) 5 ppm sprays are effective at reducing petiole stretch. Apply when leaves begin to unfurl, 2-3 successive applications can be made every 7 days if needed. A one-time 1ppm Uniconazole drench can also be applied in place of sprays, after the first few leaves have expanded. Long days encourage new foliage growth and root growth. 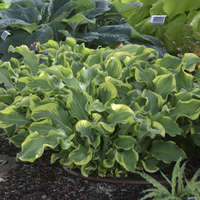 Container-grown hostas are more susceptible to sunscald than those growing in the ground, due to higher root zone temperatures and larger swings in moisture levels. Growing containers under a 30%-50% shade cloth is recommended to prevent sunscald. The threshold for light is around 4,000 foot candles to mimimize sunscald, so checking with a light meter can help to make sure your shade cloth is reducing the light to around this level. In a cold frame structure - Turn larger pots on their side if possible. Cover with a layer of microfoam and a layer of white copolymer. Be sure to remove this covering in early Spring. Bait liberally for mice. Although cold frames are low in cost, this method is not preferred because the plants become exposed to extreme temperature changes along with excessive wind and moisture once the covering is removed in Spring. This can cause foliage and root damage, and possibly the loss of plants. Unheated overwintering structures covered with a white copolymer - This is an ideal method of overwintering potted hostas. With this method, the pots are placed inside the unheated structure and covered with microfoam. Although the microfoam is removed in early Spring, the white copolymer can remain on the houses for some additional time, making this method preferable over cold fram structures. 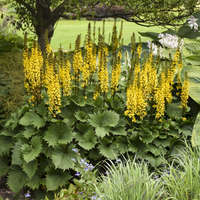 Hostas will develop naturally in this environment and yet be protected from the extreme weather conditions of Spring. As an added bonus, the ends of the houses can be opened for ventilation. As the warmer days of Spring arrive, the white copolymer can be removed and replaced with 50% shade cloth for contined growing. 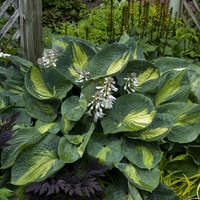 A 70% shade cloth is recommended for blue hostas as it will help hold their blue color longer in the season. Minimal heat polyhouses (around 35° F) - We do not recommend growing potted hostas in a warm house since they require a prolonged cold treatment in order to break dormancy. Normally, hostas grow in in a minimal heat polyhouse develop faster than in their natural environment. 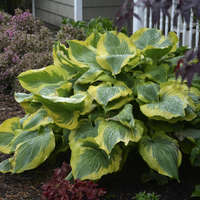 Advanced foliage on hosta cannot be hardened off and damage can occur if exposed to cold temperatures.